Prabhupada never ordered or gave permission to anyone to edit his books after his physical departure, and even while he had his manifest lila he was very unhappy about a lot of the editing made by his Book Trust (BBT, Bhaktivedanta Book Trust). Despite that, after Prabhupada’s physical departure the Bhaktivedanta Book Trust International have made thousands of unauthorized changes, additions and alterations to many of his books. In this way they have violated the principle of arsa-prayoga and greatly compromised the transcendental potency of Prabhupada’s books – all of which creates huge obstacles in his and his loyal disciples preaching mission. This entry was posted in All posts, Arsa-prayoga, Direct quotes, Prabhupada said, This blog and tagged arsa-prayoga, bbt, prabhupada. Bookmark the permalink. The BBT editors were able to make thousands of unnecessary changes to Srila Prabhupada’s books, and particularly to the Bhagavad-gita As It Is, because no one voiced any opposition. Their thinking was that if no one objects, they must agree, so let us make all the changes we think will improve the books. They think this is the prerogative of the disciple, but by so doing they must first set aside the principle of arsha prayoga. Devotees are perhaps not aware that while Srila Prabhupada was physically present, anyone who served as a BBT trustee was also a member of the GBC. 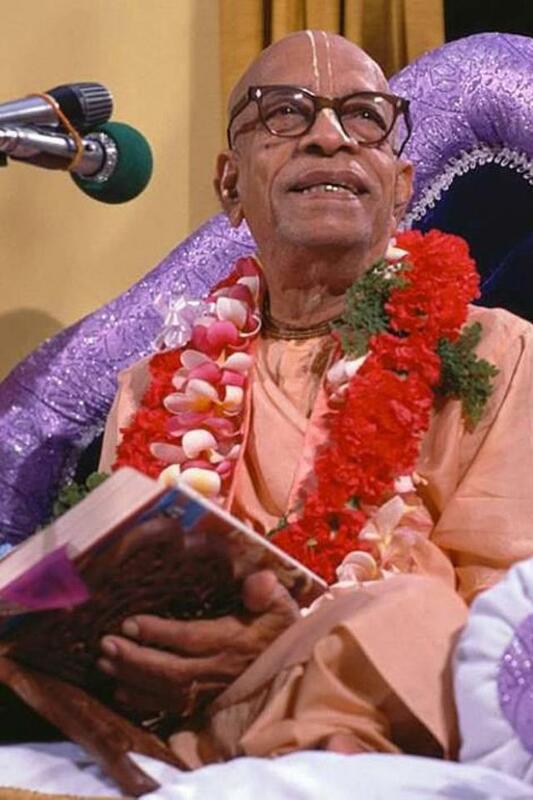 Although the BBT was a legal entity separate from ISKCON, according to Srila Prabhupada’s arrangement, it was ultimately to be managed by the GBC. Back around 1982, all of the GBC members received a letter from the BBT asking for feedback on changes they were proposng to make to the verses of the Bhagavad-gita. None of them responded in writing to this letter. Their silence was taken as a nod of approval and the rest is history. Obviously, the time to object to the book changes was BEFORE the revised edition of the Bhagavad-gita was actually published. Once something is printed, how can it be changed back? Nor is it possible to issue a recall of the thousands of copies already distributed. Srila Prabhupada says in the above letter to Brahmananda, “Just try to mend things and restore it to its original position.” This instruction is very similar to him saying, “The next printing should again be to the original way” after hearing that many changes which he had not approved had been made to the Sri Isopanisad. In the spirit of increasing book distribution, I believe the solution is that we all work together to flood the world with Srila Prabhupada’s original books. This is the way to “mend things and restore it to its original position.” By Krishna’s arrangement we can now easily present to any person a well-bound pocket edition of the original Bhagavad-gita As It Is. It is very attractive with forty-eight color plates and nearly 800 pages printed on Bible paper, and can be sold for just a few dollars. Please also note that its back cover clearly mentions that it is the DEFINITIVE English Edition of Bhagavad-gita. It even includes the Foreword written by Professor Edward Dimock. What a blessing! Srila Prabhupada gave the example of a glass that is filled with milk… you cannot add ink to it. So let us fill the market place with this pocket Gita and all of Srila Prabhupada’s other original books. The BBT will soon find that there is no room in the marketplace for unannotated books that were revised without the author’s authorization. My humble obeisances to you all. All glories to Srila Prabhupada!